God is the God of priorities. He created the concept and practice of prioritizing. From the beginnings of creation to its culmination in Revelation, God has displayed that He is the God of order, arrangement, and priorities (1 Corinthians 14:33). He did not randomly create the universe nor He confused the creative process. God, in his vast powers, brought beauty out of nothing (Genesis 1:1-2). When everything in the universe was in place, God then, created human beings. He created and fashioned us according to His image and likeness. “Fearfully and wonderfully” He made us (Psalm 139:14). That is who God is. “Ordo Salutis” also known as “order of salvation” is what the medieval saints described the process by which God will bring redemption to us. God knows which one should be done first and which one should come last. That’s how prioritization is meant to be – “first things, first!” And from the looks of it, God’s order of salvation for His church is about to culminate in the grandest and glorious fashion. More than that, God isn’t just our model of how to prioritize our duties and responsibilities. 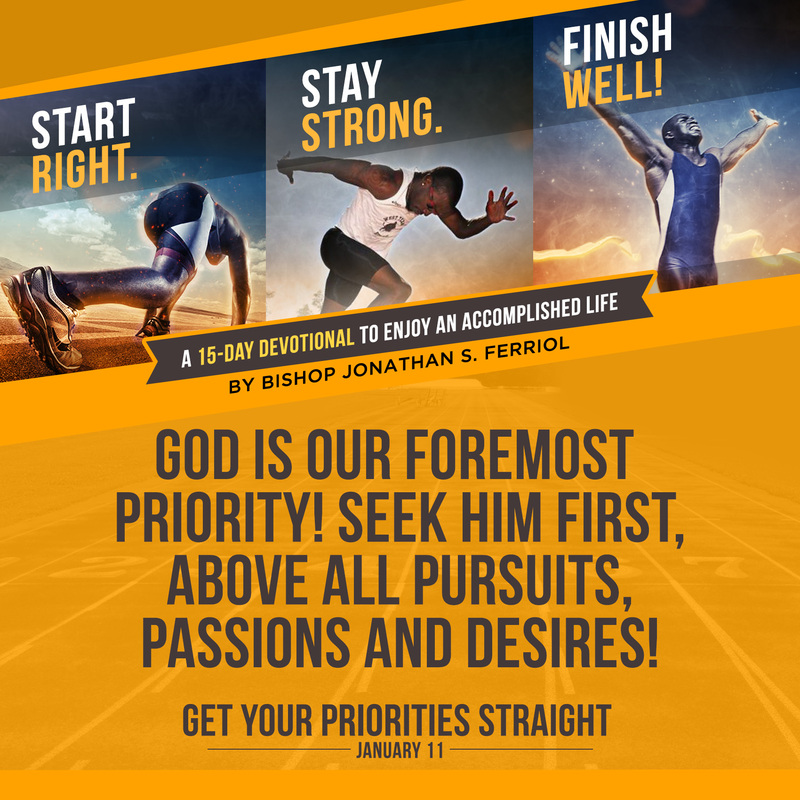 But God is our foremost priority! We are to seek Him first, above all, pursuits, passions and desires. He is our ultimate priority. And it is when we consider Him and His righteousness, first and foremost, that all other pieces in our lives will come together in one perfect fit. 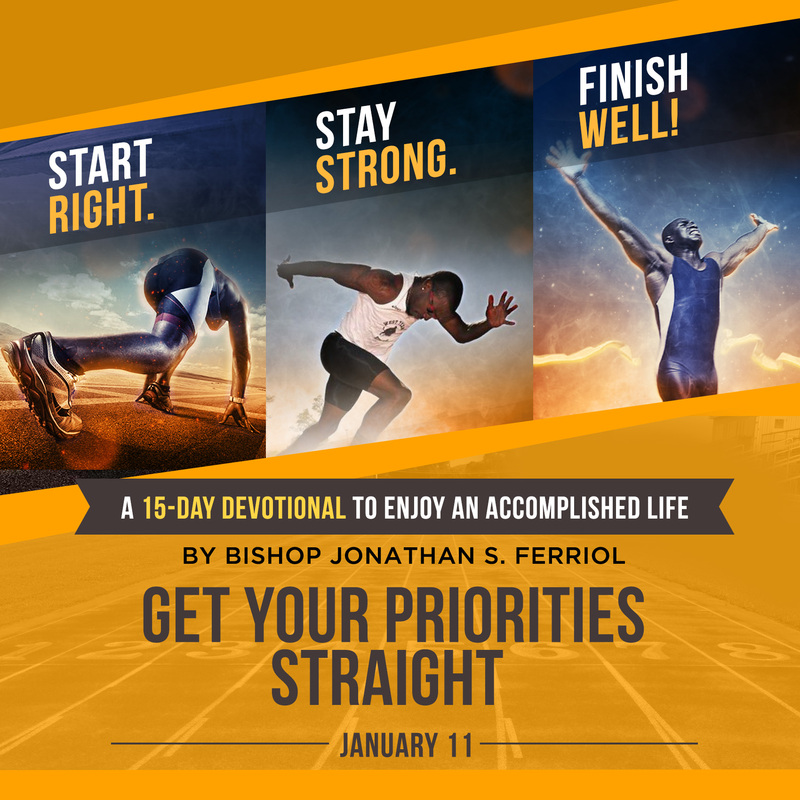 As you seek to accomplish more in your life and service to God, I urge that you take a page from God’s “playbook.” Like Him, get your priorities straight. First things first. Live each day following the order of your priorities. Make a vision statement for your business that will reflect your adherence to godly priorities. Raise your family in accordance with godly order. Get your priorities straight.